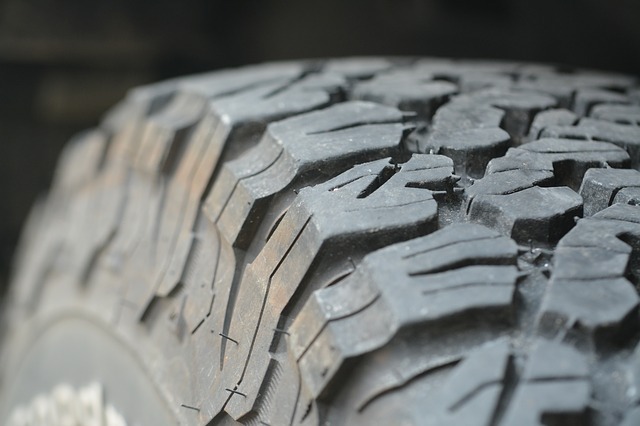 Tyres are the vehicle's only point of contact with the road which means they are the most important thing on your vehicle when it comes to safety. Bald tyres may work great when you're in a race car but no good at all when you're popping down the local Asda on a wet road surface. The treads on tyres are designed to pump water from the road surface and provide maximum grip, being the only grip you will get to the road. Checking your legal tyre tread depth is one of the most important checks you can make on your car as having worn tyres is basically an accident waiting to happen. And if those safety risks of yourself, your passengers and other road users doesn't hit home, maybe the risk of a £2,500 fine and three penalty points for a worn tyre will. Have all 4 tyres worn below the legal limit and you could lose your licence and face a £10,000 fine. But what is the legal tyre depth? In the UK and Europe, the legal tyre tread depth for cars is 1.6mm across the central three-quarters of the tyre. If your depth is lower than this, or close tho this, then it is paramount that your tyres are replaced ASAP. You can order tyres in Brentwood from Elite Direct and get professional fitting done from one of their centres. The 20p Tread Depth Method. The 20p test is a simple way to check your tyres tread. It takes 2 minutes to do and can save you a hefty fine, or your life. Just take a 20p coin and insert it into the groves of the tread on your tyres, making sure to check each tyre on your car - and the spare too as most people forget about that! If the outer band on the coin is fully hidden in the tread, your tyres are above the legal limit and you can go about your day. If you can see any of the band however, it's likely that your tyres could be unsafe and require professional inspection by a mechanic and maybe replacement. When you are driving such a huge piece of machinery around, and responsible for other people, it is always important to have these basics checked regularly, for your own safety, as well as everyone else.